Louise Myers advises business clients on contentious and non-contentious issues arising from all stages of the employment lifecycle. Now operating her own business, jointly with Co-Founder, Stacey Turner this places Louise in a relatively unique position within her field with the first-hand experience to give well-rounded, commercial advice. Louise works pro-actively with clients to assess the impact of new and forthcoming developments in employment law and how to implement them alongside business goals and operational needs. Louise is a trusted advisor for many businesses as a sounding-board for employment and business-related decisions and issues. Her strong relationships with clients is of upmost importance to Louise. Louise regularly advises organisations on large-scale projects including restructures and redundancies, contract variations and outsourcing arrangements. Having several years’ experience in an international corporate law firm, Louise has invaluable knowledge of advising management teams and business owners on disposals, mergers and acquisitions and has advised clients on cross-border arrangements. Louise provides in-house training to senior managers/directors of large private and public organisations on all aspects of employment law. She also regularly speaks at external events and gives comments to the media. In 2006 Louise graduated from the University of Durham with a first-class honours degree in law. Louise went on to complete her Legal Practice Course at the College of Law in Chester. In 2007 Louise completed her training contract with international law firm, DLA Piper UK LLP in Liverpool and practiced at DLA for six years. Louise relocated to Preston, Lancashire in 2013, joining Napthens LLP and was Senior Associate in the employment practice. 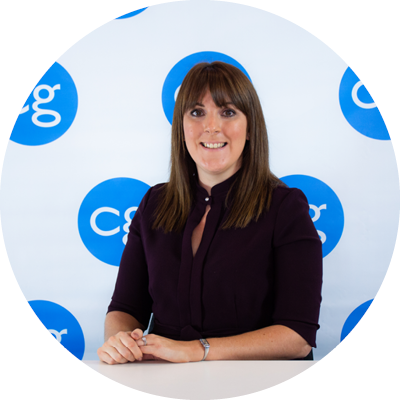 Louise is currently Managing Partner of CG and worked on the start-up of the new business, jointly makes all strategic and operational board level decisions and continues to work hands-on with clients, advising on commercial and employment related matters.